What’s Behind the Dramatic Decline in IPOs? I’m going to be interviewing Tim Keating, CEO of Keating Capital (KIPO), next week here on MicroCapClub. I met Tim earlier this year when I was visiting some microcap companies and investors in the Denver area. He recently wrote an article for FOXBusiness that talks about a recent report by Grant Thornton that concludes increasing tick sizes would jump-start the small IPO market (sub $50m). I thought the article was very thought provoking, so I’ve published it below. 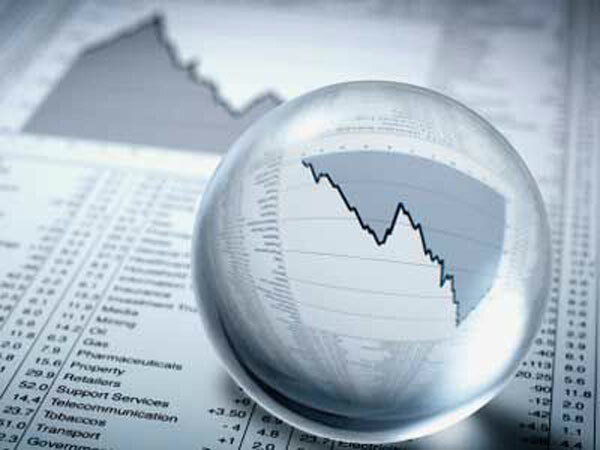 In their latest report in a series of Grant Thornton white papers on the long-term ills affecting the IPO markets, David Weild and his co-authors laser lock on market structure and persuasively argue that increasing “tick” sizes (i.e., the minimum increment in which a stock can trade) will restore capital formation, jobs and investor confidence. Tick sizes? Yes, they’re talking about tick sizes, and they’re right. 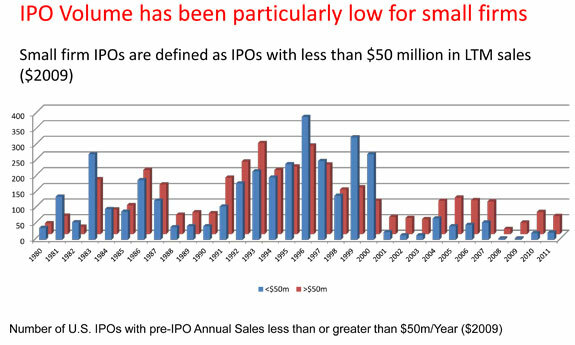 In fact, the authors have so precisely pinpointed the underlying causes of the dramatic decline in IPOs that it should serve as a wake-up call for anyone and everyone involved in the equity capital markets ecosystem. — Nano-cap companies (under $100 million in market cap) represent more than half (52%) of all public companies (including the over-the-counter market). In other words, roughly two out of every three companies listed on a U.S. stock exchange is a micro-cap company. The MicroCapClub (mc2) is an exclusive micro cap forum focused on micro cap companies (sub $300m market cap). The MicroCapClub was created and founded by Ian Cassel as a way to share ideas and to learn from other seasoned like-minded micro cap investors. Our goal at MicroCapClub.com is quality membership and quality stock ideas. If you are an experienced micro cap investor, feel free to Apply today.